Everydlife best for your life!!! Our metal-mesh stands,is multi-purpose for laptop,tracing pad,tablet,light box,sketch board,etc.Mesh structure means good for ventilate then draws heat away from your devices. Foldable and compact structure make storage become easy. Adjustable multi-angle design, you can change the stand high according to your need,gives you 6 different viewing positions, which is suitable for diamond painter for a long-time work and improve your viewing experience. Don't adjust the angle when placing the iPad,tablet,laptop,light box or sketch board. ADD IT TO CART, GET START FOR YOUR FUNNY TIME!!! Everydlife Diamond Painting Tool Kits - The light pad holder is design for paint with diamonds kit for adults to relieve stiff neck pain and protect cervical spine. NON-SLIP and Ventilated Design - Non-Slip feet keep your light pad in place. Avoid unnecessary skidding in the course of doing diamond painting kits for adults. 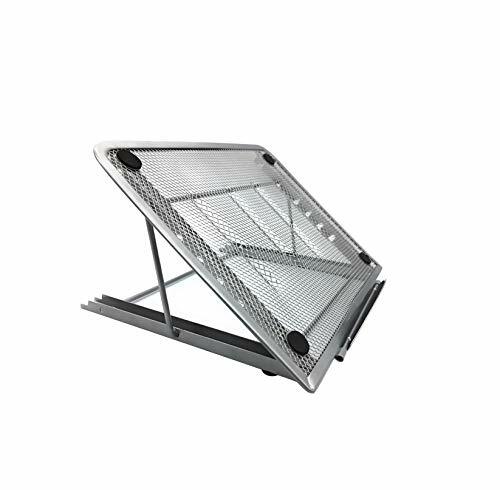 Ventilated metal-mesh platform draws heat away from your diamond painting light pad. MULTI-ANGLE ADJUSTMENT - Lock in the angle that you would like to use for increased comfortable drawing diamond painting cross stitch rhinestone embroidery. Compact and Foldable - High quality, strong metal, light weight and sleek in design, convenient for storage. Also Can be used with laptops / iPad / tablets/notebook/light box/sketch board and more.High Quality,Strong metal, light weight and sleek in design, easy to carry. If you have any questions about this product by Everydlife, contact us by completing and submitting the form below. If you are looking for a specif part number, please include it with your message.